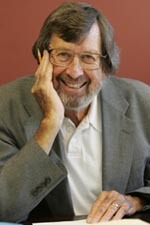 Richard F. Thompson was Keck Professor of Psychology and Biological Sciences at the University of Southern California and served as Director of the USC Neuroscience Program from 1989 to 2001. He also held appointments as Professor of Neurology, School of Medicine, and Senior Research Associate, School of Gerontology. Prior to that he was Bing Professor of Human Biology and Professor of Psychology at Stanford University, where he served as Chair of the Human Biology Program from 1980-1985. Previous positions include Professor of Psychobiology in the School of Biological Sciences at the University of California at Irvine, Professor of Psychology (Karl Lashley’s Chair) at Harvard University and Professor of Medical Psychology and Psychiatry at the University of Oregon Medical School. He received his B.A. degree at Reed College, his Ph.D. in Psychology (Psychobiology) at the University of Wisconsin, and did postdoctoral research in the Laboratory of Neurophysiology at the University of Wisconsin and in the Laboratory of Neurophysiology at the University of Goteborg in Sweden. His area of research and scholarly interest was the broad field of behavioral neuroscience with a focus on the neurobiological substrates of learning and memory. He wrote several texts, edited several books and published 450 research papers to date. Honors include election to the National Academy of Sciences, the American Academy of Arts and Sciences, the American Philosophical Society and the Society of Experimental Psychologists. 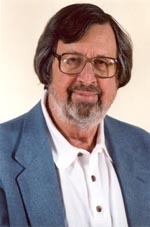 He was awarded the Howard Crosby Warren medal of the Society of Experimental Psychologists, the Distinguished Scientific Contribution Award of the American Psychological Association, the John P. McGovern Award from the American Association for the Advancement of Science and the D. G. Marquis Award in Behavioral Neuroscience and the Karl Spencer Lashley Award from the American Philosophical Society. He was elected Chair of the Psychonomic Society, President of Division 6 of the American Psychological Association, Chair of the Psychology Section (Section 52) of the National Academy of Sciences, Chair of the Psychology Section (Section J) of the American Association for the Advancement of Science and member of the Governing Council of the Society for Neurosciences. He was elected President of the Western Psychological Association, President of the Association for Psychological Science (formerly the American Psychological Society), and President of the Pavlovian Society. He held a Research Scientist Career Award from the National Institute of Mental Health and was a Fellow of the Center for Advanced Study in the Behavioral Sciences. He was involved in a wide range of scientific-administrative activities at the national level, including the Assembly of Behavioral and Social Sciences of the National Research Council, a Presidential Task Panel on Research in Mental Health, Chair of the Board of Scientific Affairs of the American Psychological Association, Chair of the Committee on Animal Research and Experimentation of the American Psychological Association, member of the Commission on Behavioral and Social Sciences and Education of the National Research Council/National Academy of Sciences, a member of the Board on Behavioral, Cognitive and Sensory Sciences of the National Research Council, a member of the Advisory Board of the National Academies’ Corporation, a member of the Division of Space Life Sciences Science Council of the Universities Space Research Association, a member of the Institute of Medicine Committee on Building Bridges in the Brain, Behavioral and Clinical Sciences and a member of the Scientific Advisory Board (Fachbeirat) of the Max-Planck-Institute für Experimentalle Medizin, Göttingen. He was a corresponding member of the Center for the Neurobiology of Learning and Memory at the University of California at Irvine and served as a member of the Board of Trustees of the Center for Advanced Study in the Behavioral Sciences at Stanford. He served on the US National Science Board. He served as Chief Editor of the journals Physiological Psychology and Journal of Comparative and Physiological Psychology and Chief Editor (and founder) of the journal Behavioral Neuroscience (1983-1990) and was a Consulting Editor for the journal. He served as Regional Editor of the journals Physiology and Behavior and Behavioural Brain Research and Associate Editor of the Annual Review of Neuroscience, Section Editor, Neuroreport, and was on the editorial board of a number of other scientific journals. Thompson also has served on several research and training grant panels for the National Science Foundation and the National Institute of Mental Health, and committees of the National Research Council/National Academy of Sciences. He was also involved in a number of local administrative activities at Oregon, Irvine, Harvard, Stanford, and the University of Southern California. He had an active and productive laboratory and is most fortunate to have had an outstanding group of postdoctoral fellows, visiting professors, research associates and graduate and undergraduate students working with him on basic neuronal mechanisms of learning and memory. His laboratory received continuous Federal research grant support since 1959. He felt particularly indebted to the 50 graduate students and 48 post-doctoral fellows he was fortunate to have work with him over the years. * The FABBS Foundation would like to thank Dr. John W. Moore for nominating Dr. Thompson for this honor and for leading the effort to spread the word about his nomination. Would you like to honor Dr. Thompson? It’s not too late to have your name added to the list of donors! You can make your donation to Dr. Thompson’s In Honor Of… campaign at anytime.